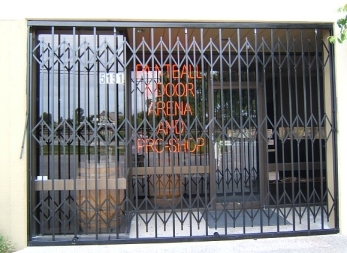 Available in almost any color, a scissor gate can deter theft simply by their rugged appearance. 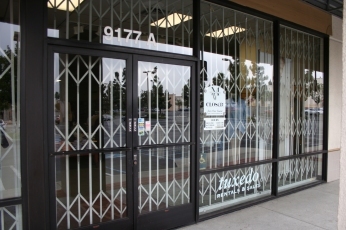 Often used as storefront gates, they provide excellent storefront window security by utilizing a track on top and bottom to insure maximum night-time security. During the day the bottom track folds up out of the way at door entrances to provide a clear entry-way. 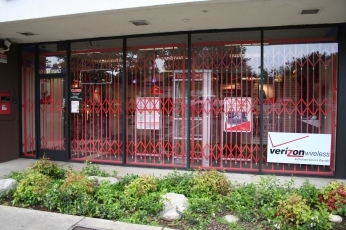 These expansion gates last for years and can often lower insurance premiums for businesses and provide an excellent ROI. Call us about your scissor gate needs to get a free quote. We can provide a quick turn-around to installation with local manufacturing.